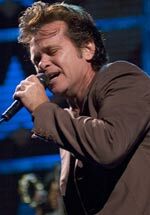 A bruised eye John Mellencamp sported during an appearance on a late night talk show was a good indication that one of his sons might have management issues. Asked about the cause of his black eye, the father of Hud and Speck Mellencamp said that there had been a disagreement over something and his son got a punch in and he didn't. Both of the singer's sons now face charges that they went to the home of a 19 year-old that one of the Mellencamp boys claimed had hit him earlier that night and allegedly confronted him and gave the boy a severe beating that resulted in broken bones and lacerations serious enough to require plastic surgery. Also accompanying Mellencamp's sons was Ty Smith, the son of the Indiana University basketball coach. An affidavit filed in the case indicates that Speck threw the first punch and Hud and Ty Smith joined in and '...punched, kicked and stomped' Alexander Bucey.